Home maintenance and household chores are two things that take up too much time and stop us doing more of the things we enjoy. A Quality Glass composite door can help you reduce the amount of time you spend on home maintenance and household chores. Why are Quality Glass GRP composite doors so easy to maintain? 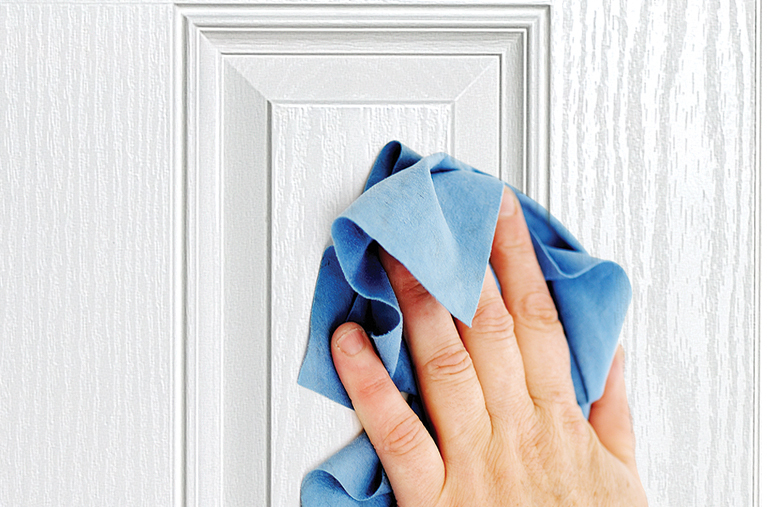 To prolong the life of the surface finish and protect the warranty, your composite door needs to be regularly cleaned with warm soapy water (washing up liquid, for example) using a soft, lint-free cloth. How often you need to do this will depend on where you live. If you live in a coastal or heavily industrialised area or near a main road, cleaning will need to be more frequent. Has a triple glazed insulated glass unit with a decorative centre pane which is encapsulated between an inner and outer pane, prolonging is appearance and providing ease of cleaning.